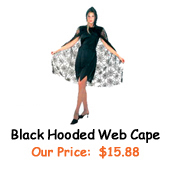 Description: Deluxe Black Cape made of double layers of smooth and stretchy premium polyester fabric. 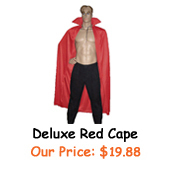 Cape is fully lined with stand-up collar and measures 54" long from neckline. 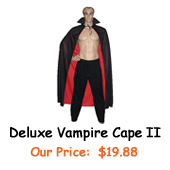 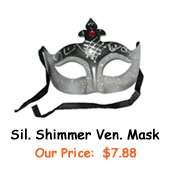 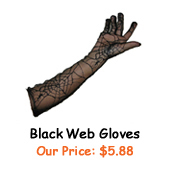 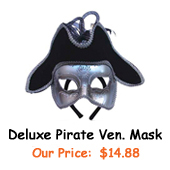 It's comfortable to wear and suitable for many costume ideas, such as vampire, magician, superhero, Gothic, etc.